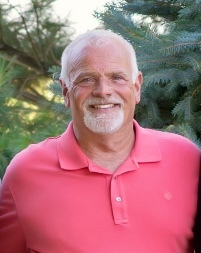 Greg H. John, 61 of rural Industry passed away at 5:25 p.m. Wednesday, November 14, 2018 at 5435 East 1650th Street, Industry. He was born on September 8, 1957 in Macomb to Gene and Marjorie "Marge" Mason John. He married the love of his life, Lori Chenoweth on January 22, 1977 in Macomb. She survives. Also surviving are two children; Brandon (Sydney) John of Macomb and Hayley (Mike) Dobson of Seaford, Delaware, grandchildren; Emily Dobson, Mazie John, Gabriel John, Maddox Dobson and Tatym Dobson. parents; Gene and Marge John of Macomb; two sisters, Terri (Jim) Burnham of Macomb and Julie (Troy) Aten of Colchester; sister-in-law, Terra Litchfield of Macomb; niece Kristen (Scott) Terry of Macomb; two nephews, Derek (Lisa) Litchfield of Macomb and Hunter Aten of Brooklyn, Iowa and mother-in-law, Juanita Huff of Macomb. He is preceded in death by his paternal and maternal grandparents, his father-in-law; K.C. Chenoweth and his brother-in-law and best friend, Randy Litchfield in 2016. Greg lived in Macomb until 1984. He lived in Taylorville from 1984 to 1985 before moving to Industry in 1986. He was the plant manager for Refreshment Services Pepsi in Macomb for 39 years, retiring in May of 2018. He was a member of Ducks Unlimited and First Christian Church of Macomb. He loved his children, grandchildren, and his beloved dog, Scout, duck hunting and could fix anything. Cremation rites have been accorded. A visitation will be held from 5 to 8 p.m. Monday, November 19, 2018 at Clugston-Tibbitts Funeral Home in Macomb. A Celebration of Life will be held at a later date. The family requests in lieu of flowers that memorials be made to St. Paul’s School or Ducks Unlimited.